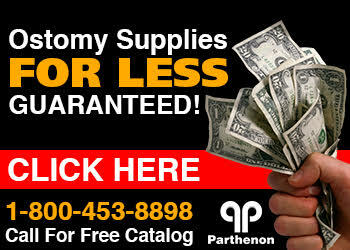 The Parthenon Company Blog - Specialists in Wound and Ostomy Supplies: Unbeatable Sales on Ostomy Products and More...! Unbeatable Sales on Ostomy Products and More...! If you do not know already, Parthenon, one of the first online retailers of ostomy supplies on the Internet (est. 1997), has some incredible sale prices on its website. So good, in fact, that quantities are limited and prices offer huge savings! Parthenon is a long time supporter of the UOAA and its link can be seen on their site as well. So next time you need to place your order for ostomy supplies, call us or visit online to get a quote! Remember that if we will beat a price by 5% if there is any price equal to or less than ours...nationwide!